This chapter critically examines innovations and ‘reforms’ in university service provision and their management, focusing on Australia as illustrative of broader global trends associated with the integration of higher education (HE) into the international market economy. 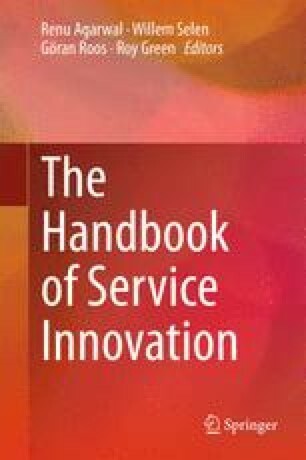 We argue that more than the usual economic, technocratic approaches to service innovation are required because of the complexity and unpredictability that characterize the entire field of knowledge-based services. Instead we establish an interdisciplinary social science-based approach drawing from critical organization studies and complexity perspectives. To apply our alternative framing of both the issues and the intellectual tools required for effective analysis, we examine three dimensions of innovation, those in the policy, governance and academic work processes through which Australian universities have been transformed over the last 25 years. Our contribution suggests that dominant approaches to university ‘reform’ risk diminishing the creativity and critical investigation skills required for these institutions to advance service innovation and emerging forms of society, not just a ‘knowledge-based’ and ‘service-oriented’ economy.